Privilège Marine introduced its new Privilège Serie model range this past winter at Strictly Sail Miami with a smart-looking 50-foot cruising catamaran that’s an evolutionary upgrade from the older Marc Lombard-designed Privilège 515. 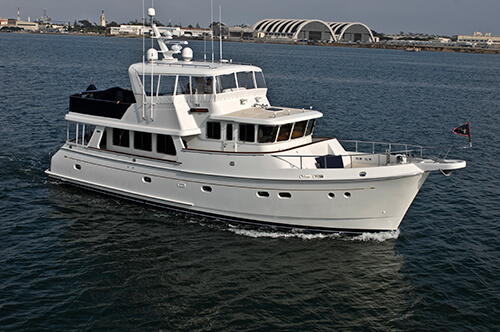 (The previous boat was built by the former Alliaura Marine, a yard that fell victim to the global financial crisis.) With slightly longer hulls and an upgraded interior, the Privilège Serie 5 is the first new design since the company reorganized in 2012 under the direction of Gilles Wagner and moved production from Lorient, France, back to Les Sables d’Olonne, where many of the original Privilège boats were launched. 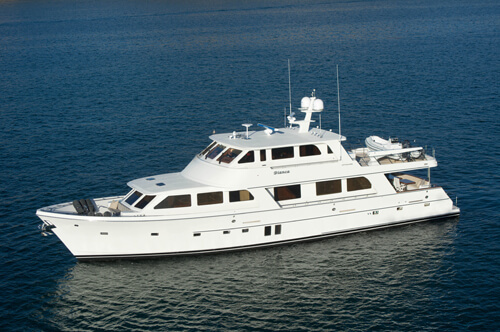 The new Serie range will also include a 64-foot Serie 6 and a 74-foot Serie 7, also designed by Lombard. 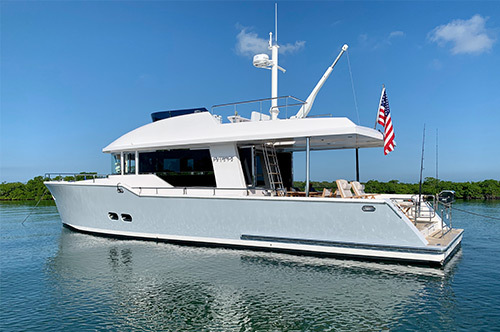 The Privilège Serie 5 in Miami was laid out for charter and lacked Privilège’s signature owner’s cabin that spans the nacelle and hulls forward of the mast. 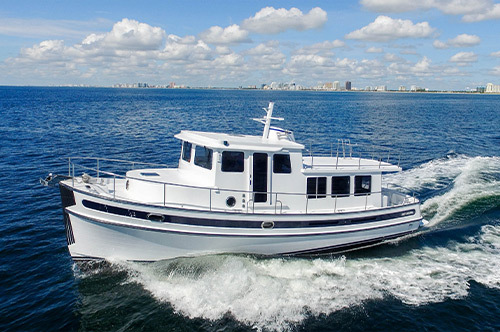 Instead, this boat had four cabins, two to a hull, and each with its own head and shower. The forward cabins featured athwartship berths; the aft cabins had bunks fore and aft — a double in the starboard hull and twin berths to port. Several other layouts are possible, including one with accommodations for crew.